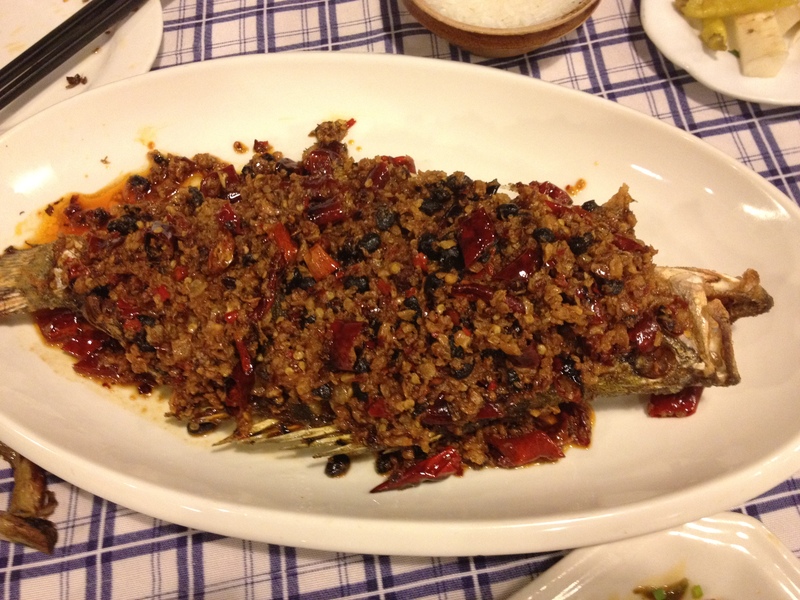 Shanghai spicy-food restaurant Di Shui Dong specializes in flavor-heavy Hunan food. 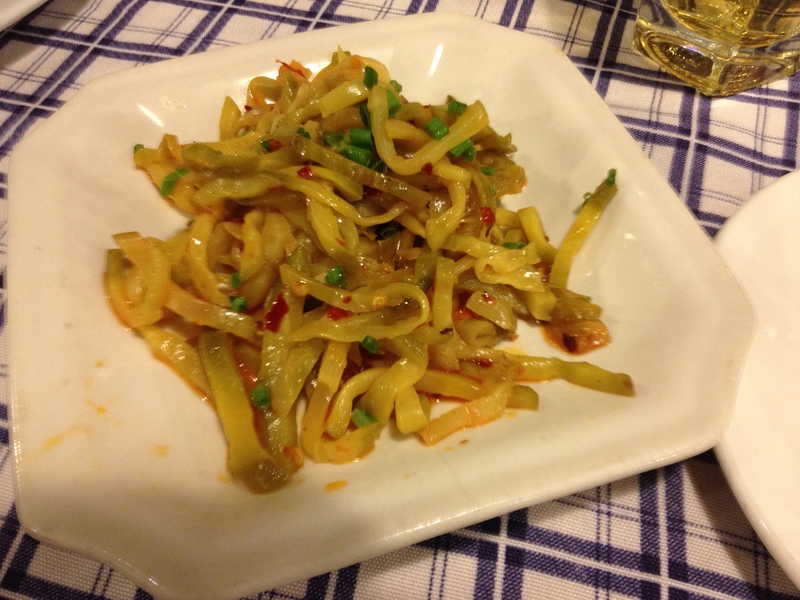 The joint also doubles as an expat attraction, perhaps in part because the menu is a voluminous photo album full of peppers, cilantro, and chili oil (and therefore easy to order from), but also because it gets some good press in Shanghai’s foreigner lifestyle magazines. 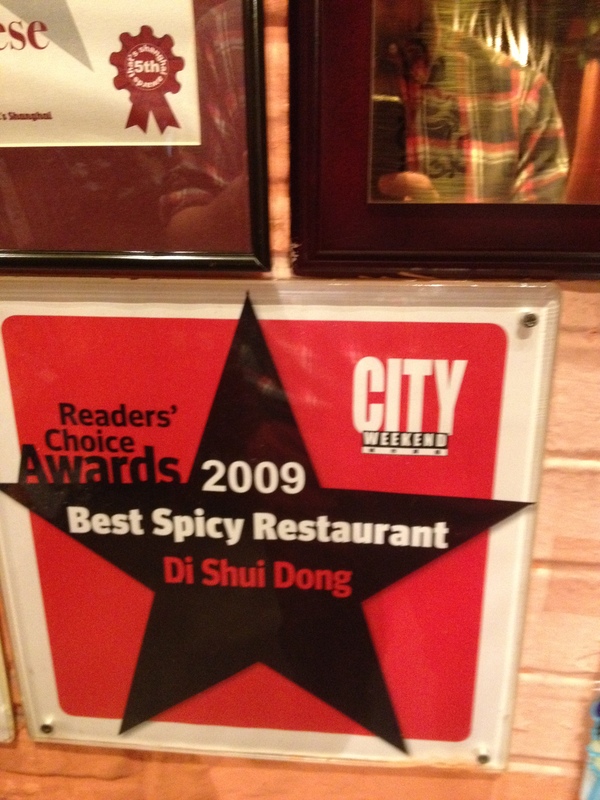 None of which really matters so long as the food is tasty. I’d been here once already in early February when I first visited Myra, and the spicy cuisine had helped warm our bones during a chilly Shanghai winter. We’d gotten a hotpot full of bamboo, tofu, and sliced pork belly, and had finished with a hot bowl of sugary glutinous rice balls (better than it sounds, although not necessarily more PG-13). Now that it was full-on summer, we didn’t need heat for heat’s sake, so our menu choices were a bit more about flavor and included a few chef’s classics that we hadn’t tried last time. 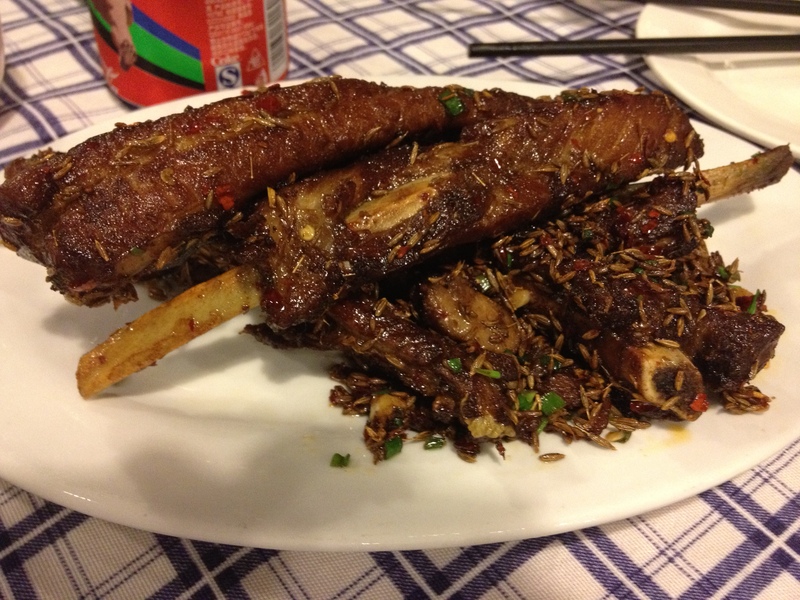 Namely, the fried spareribs, smothered in cumin and other herbs, greasy and fall-off-the-bone tender. 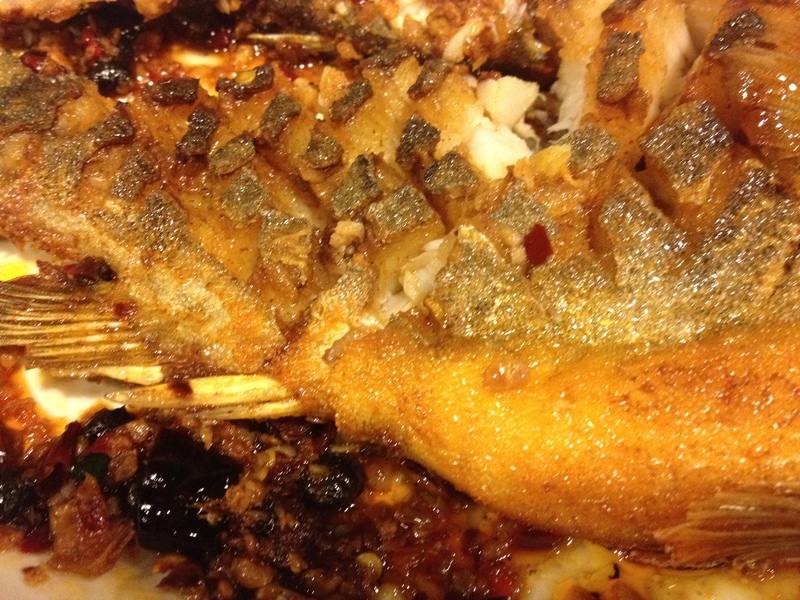 Then, some of our old favorites – sauteed eggplant and green beans, and fried fish with black bean and garlic sauce. We didn’t get dessert this time, but we’ll be back. 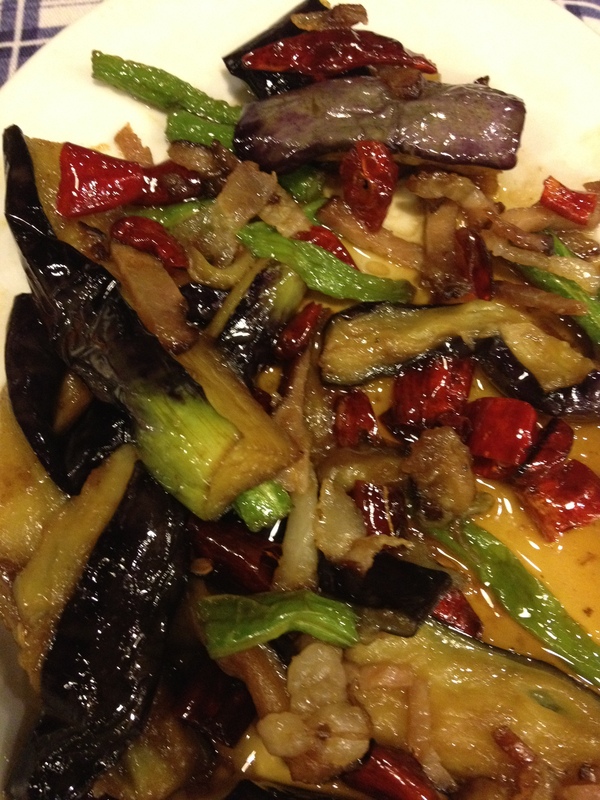 It’s a great comfort food spot not that far from Jing’an, and somewhere I can indulge my hidden passion for pig ears. (1) Spicy pig ear, (2) Pickled mustard greens, (3) Fried spareribs with cumin, (4) eggplant and green beans, (5) fried fish with garlic and black beans, and (6) tofu and pork belly hotpot (comes in a small wok over a flame).